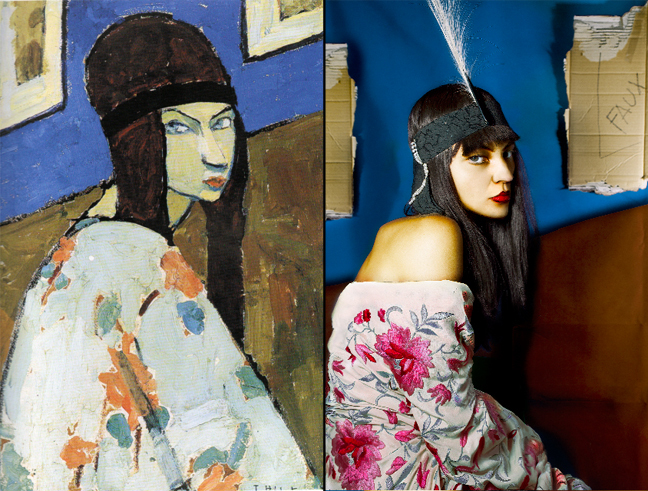 From the topic of fake in art, an artistic project represented by a photographic exhibition at Castello Svevo in Bari, Italy (from September 28th to October 28th, 2011) is now born. 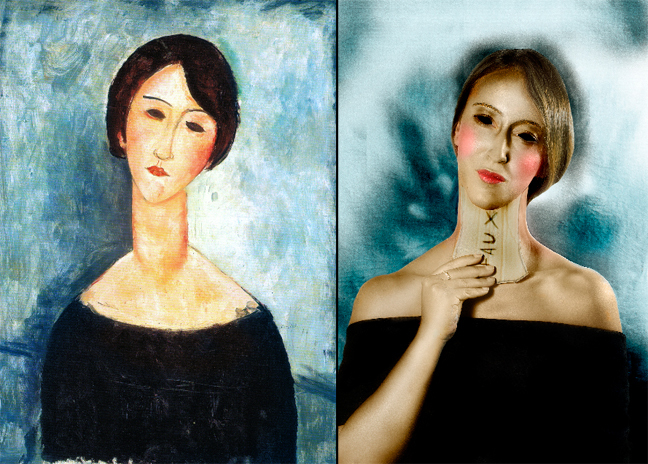 “Representation truly has the power of falsification, everybody likes fakes, it’s a human, impulsive feeling” (Fernando Pessoa about fake in art). It’s a fascinating theme in which many Italian and European essays have been interested. 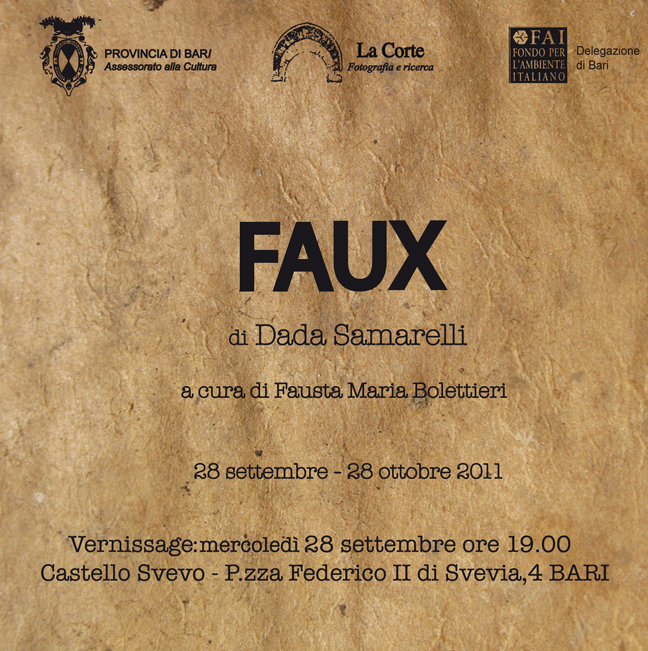 FAUX is the name that the photographer Adele Samarelli gave to this project, that is taking shape in the exhibition at Castello Svevo, made by the cultural association “La Corte, photography and research”. The exhibition is edited by Fausta Maria Bolettieri under the patronage of the local authority of Province of Bari. The castle is a prestigious location that, for the last 25 years, has been “theatre” of the best art exhibitions in Puglia such as Modigliani, Chagall, Pollock, Giaquinto, Cantatore and many others. 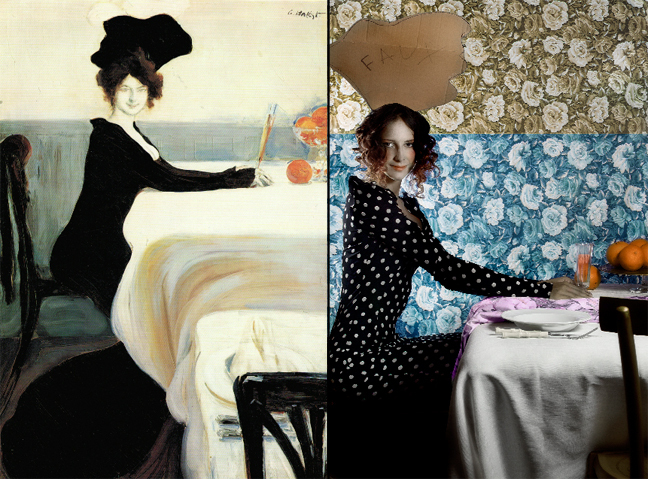 Inspired by nine famous art works the artist reinterpreted them with a modern spirit, using nine new subjects with a fake element. Faux is founded on an ironical mechanism and on the re-edition of the theories according to which, before the ready–made revolution done by Duchamp, photography is a soulless clone of reality “getting poor the artistic genius” (Baudelaire).